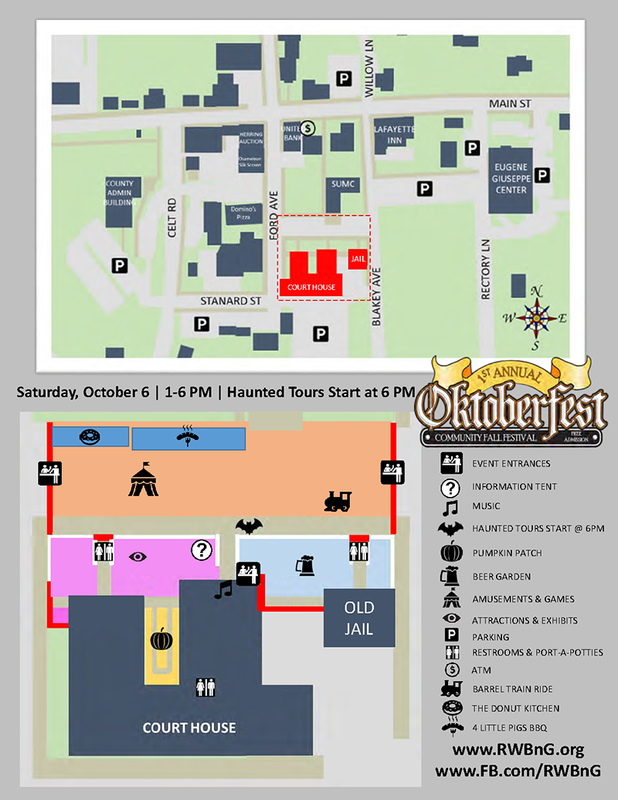 We are now only a few weeks away from the town’s first annual Oktoberfest on Saturday, October 6th. 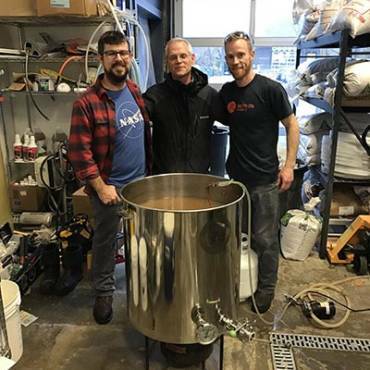 Homebrewers have been working diligently for weeks to prepare their brews and plans are well underway to insure that this event provides wholesome, family-friendly entertainment with something for every member of the family to enjoy. Here are some of the details about this great event. Food Trucks: Four Little Pigs BBQ & The Donut Kitchen. Charities Benefitted: Red, White, Blue ‘n Greene, Jill’s House, 4-H.
Exhibits: Fur Trapping, Glass Bee Hive, 4-H Harvest, Brewing Class, Civil War Living History. 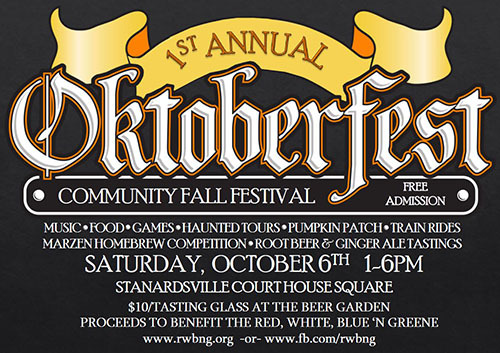 For the Kids: Bounce House, Barrel Train, Root Beer & Ginger Ale Tastings, Carnival Games*, Face Painter*, Honey Tastings. For the Adults: Paid Admission Required For All Beer Garden Functions Including: Homebrewers Marzen Competition Tastings, Mead Tastings, Wine Tastings, and Beer Sales by the Glass. 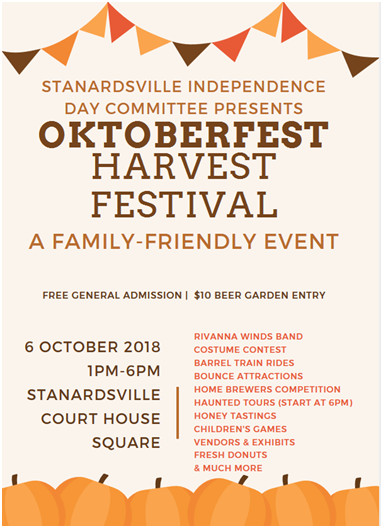 For the Family: Music by DJ Goody Love (ProSound Solutions) and the Rivanna Winds Band, Haunted Tour of Stanardsville, Costume Contest, Pumpkin Patch*.